NEW YORK - MAY 17, 2015: men playing chess in Washington Square Park in the Spring in slow motion 4K Manhattan NY. Washington Square Park is a famous public park in NYC, USA. 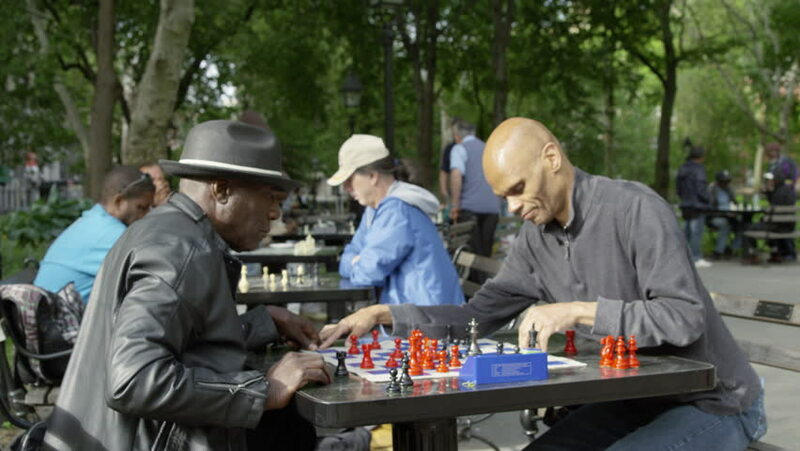 4k00:29NEW YORK - MAY 17, 2015: panning, steadicam shot of chess tables with speed matches and timers in park in 4K slow motion Manhattan NY. Washington Square Park is a famous public park in NYC, USA. 4k00:12Friends catching up with each other in a public park. hd00:24Zitiste,Serbia - July 29 2014: making 1008 baked eggs in big oil pan ,food and public... on July 5 2014 in Zitiste, Serbia. hd00:14A big happy family takes a family photo on a smartphone sitting on an outdoor terrace on the roof of a house on the sea coast. 4k00:10A big happy family takes a family photo on a smartphone sitting on an outdoor terrace on the roof of a house on the sea coast.